Truma Eco Comfort Roof Mounted Air Conditioning. Brand new complete in box. 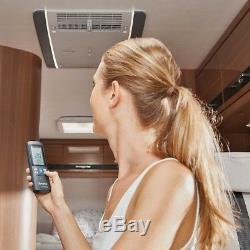 Truma Eco Comfort roof mount air con unit. Lightweight version of the Aventa model. Includes sealing frame and cream air distributor/diffuser (shown in last picture). 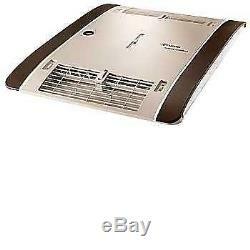 Suitable for motorhomes and caravans where it replaces an existing 400mm x 400mm rooflight for easy fitment. 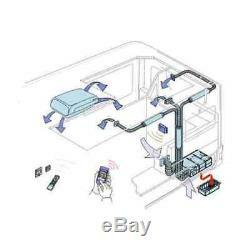 Quitest running unit in its class, pumping cool air through the entire vehicle. Inner diffuser features four air outlets which can be adjusted and integrated dimmable mood lighting. 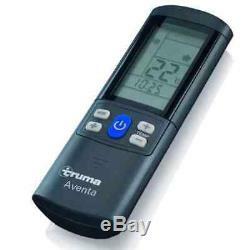 Can be used in conjunction with the Truma CP+ digital control panel and Combi heater where fitted. 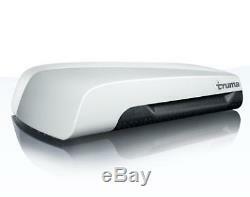 Truma iNet box would need to be present on vehicle and appropriate app downloaded. Cooling power consumption: 2.8A. Start up current: 20A (150ms). Volumetric air flow: max 340m3/h. Deployment range: +16c to +40c. Outer dimensions of unit: 1008mm x 660mm x 248mm (L x W x H). Inner dimensions: 670mm x 523mm x 46mm (L x W x H). Roof Cut out: 400mm x 400mm. Webbs Motorcaravans Ltd recommend installation by competent individuals only and accept no responsibility for any incorrect fitment of this unit. This will be delivered on a pallet. This is a heavy item and will be delivered via DPD in two separate packages. The item "Truma Aventa Eco Roof Mount Air Conditioning Complete System/Creme Diffuser" is in sale since Tuesday, July 10, 2018. 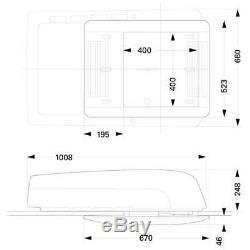 This item is in the category "Vehicle Parts & Accessories\Motorhome Parts & Accessories\Caravan Parts\Mobile/ Touring Caravan Parts". The seller is "webbsmotorcaravansaccessories" and is located in Warminster.